Home / Le blog / In the Ornitological Park, enter the birdcage ! In the Ornitological Park, enter the birdcage ! 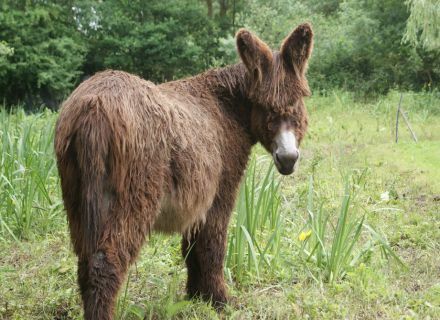 I take you for a stroll to Saint-Hilaire-la-Palud, 24 km from Niort. 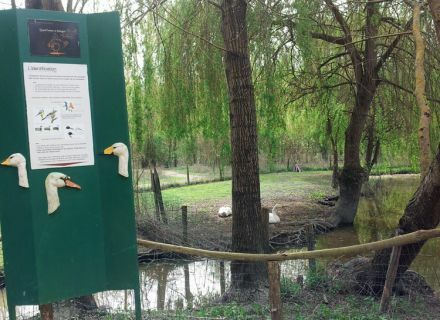 Direction the ornithological Park "Les Oiseaux du Marais poitevin", opened every day until September 15th then every day except Monday of September 15th to Halloween holidays. We are at the heart of the wild Swamp, in a plentiful vegetation, where the flora and fauna are protected. Practical side, a big car park in the entrance and nearby a space which can welcome camper vans. It is a stroll which I encourage you to do in family. 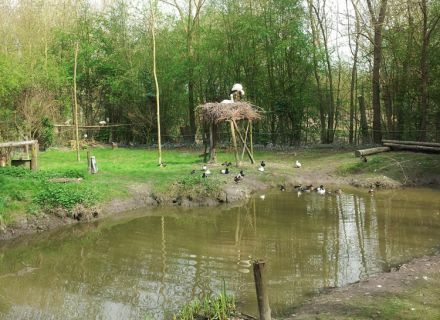 You will discover in a 8 hectare park, 70 birds species of birds of the “Marais poitevin” as well as pets as goats and donkey of Poitou. The fascinated owners, Nathalie and Francis, like saying that when we know, we respect more… Then for complex subjects, as the migration, they developed signs around a character : a gobemouche which is called Momo. And it works ! Playful and educational, children and adults like to read these indicative signs. A treasure hunt is also proposed in the youngest. The visit is even more fascinating and we do not jib walking ! 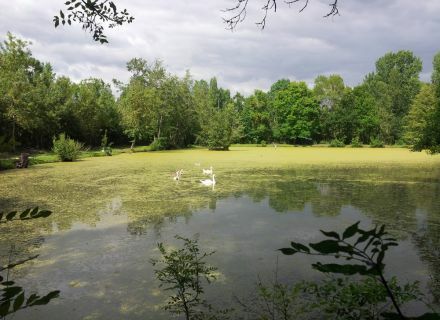 Count a good hour half for the visit of the park and view the movie "Le Marais poitevin à tire d’ailes". Also know that on-the-spot, you can picnic (snack and refreshment room on the site) and to extend your discovery by a stroll in boat, if you want. 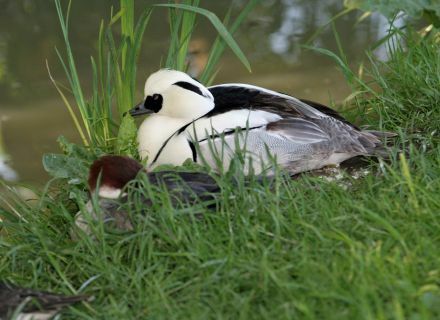 By going out of the ornithological park, you will also have all the time to follow the white paths on foot or by bicycle to perceive who knows, other birds... It is what I made and I quickly came face to face with a swans family !